Tile floors may be durable and long-lasting, but the grout between the tile is vulnerable to all kinds of damage. Water and other liquids can cause it to break down, bacteria and mold can grow in the pores inside it, and hard objects can easily scratch it. When the grout breaks down or becomes damaged, water, bacteria, and other debris can work its way under the tile, damaging the floor boards and the tile. Compromised grout can also cause the floor to look terrible. The best thing you can do to protect your grout against all kinds of damage is to seal it. 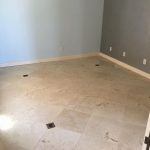 Hire Tile and Grout PHX professionals to seal your grout with the appropriate sealers and using the appropriate techniques. 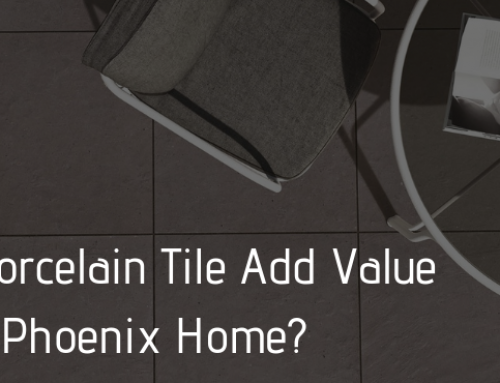 If you don’t, you run the risk of making a mistake that will leave your grout and your tile floors vulnerable. Sealing your grout won’t provide a force field against any kind of damage, but it will reduce the risk to your grout and your floors. If you have more questions about sealing your grout, consult with the top rated Peoria tile cleaners at Americhem LLC. The best way to ensure that your grout doesn’t get damaged by your pets is to keep your pets off the tile. If they aren’t on the tile, they can’t scratch the grout, pee on it, poop on it, spill their water dish on it, or anything else. You may need to put up a gate to block a room from your pets, or you may need to consider keeping your pets outside. If you mostly keep your pets outside, don’t allow them to come inside. They will track in dirt and other debris that can stain or damage your grout. Pet urine and feces can be very damaging to grout and tile. The acids and other materials in it can break down the grout, stain the floors, and leave behind a lingering odor. Instead of worrying about how to clean these messes thoroughly, you should focus on preventing them from happening. If you aren’t sure how to properly house train your pet yourself, get help from an expert who comes to your house, or enroll your pet in a course. If you have an older pet who isn’t able to control himself, consider confining the pet to one part of the house or the yard while you are away. Besides pet urine and feces, their nails may be the biggest threat to your grout. Those tiny talons can dig into the grout each time your pets walk across the floor. Give your pet weekly nail trimmings to keep their claws short and blunt. Again, if you aren’t too skilled at doing this job yourself, or if you find it hard to hold little Fido or Fifi still while you trim their nails, hire the professionals to do the task for you. The service is not very expensive, and it will save you a lot of money and hassle in the long run in regard to your tile floors and grout. Letting spills sit on your tile can allow stains to set and bacteria to breed. When those “spills” are pet urine or feces, the damage can be compounded. Any messes need to be cleaned up immediately to protect your floors and your grout. When you are dealing with pet waste, the matter is even more urgent since you may not know how long the mess was present. Make sure you use the right cleaners. Not every household cleanser is safe to use on tile or grout. Using the wrong cleansers can actually damage both your tile and your grout. Use the right cleaners to take care of immediate spills, as well as to do weekly cleanings. Then call a tile floor cleaning company for a professional tile and grout cleaning periodically – as much as quarterly. With the right care, your tile floors and grout can look great for many years to come – even if you have active pets. Just follow these tips and work with the right tile floor cleaning company to keep your tile and grout looking great. 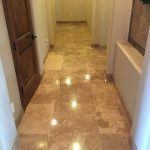 Americhem specializes in tile and grout cleaning and natural stone restoration in Phoenix. 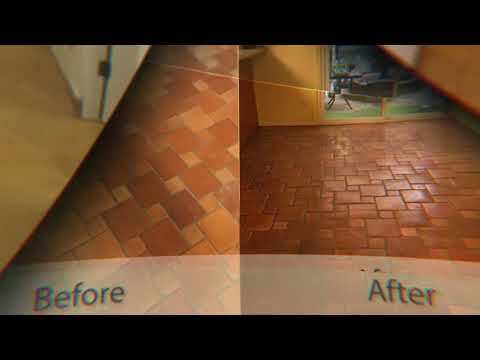 We can make your floors look as good as new, either by lifting surface stains from the tile or getting the deeper stains out with thorough grout cleaning. You’ll be amazed at the results you can get by working with the professionals. Call us in Arizona today to learn more or to get an estimate.